Nashville's premier Classic Country and Southern Rock band. Ray Stephenson and the Revival have opened for Keith Urban, Chris Stapleton, Kenny Chesney, Rascal Flatts and Luke Bryan. They have performed to sold out crowds in Nashville, Georgia, Alabama and throughout the South. If you are looking for a great variety of Country and Rock music that represents the best Nashville has to offer, look no further! This band of extraordinary musicians and singers is also the house band for Backstage Nashville's Hit Songwriter's Party and is lead by Grammy Award winning songwriter, Ray Stephenson. Solo Acoustic Guitar: Ray Stephenson will sing his Grammy Award winning originals as well as covers from Classic Country to Southern Rock. Trio: Electric and Acoustic Guitars, Two Singers and a Percussionist. 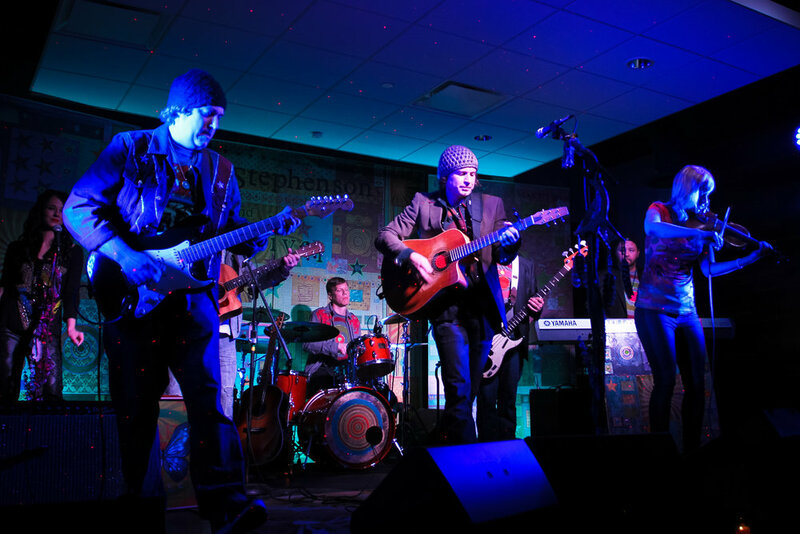 Full 6-piece band: Electric and Acoustic Guitars, Bass, Drums, Fiddle and Background Singer. Country Boy Can Survive Whysky Bent, Hank Jr.